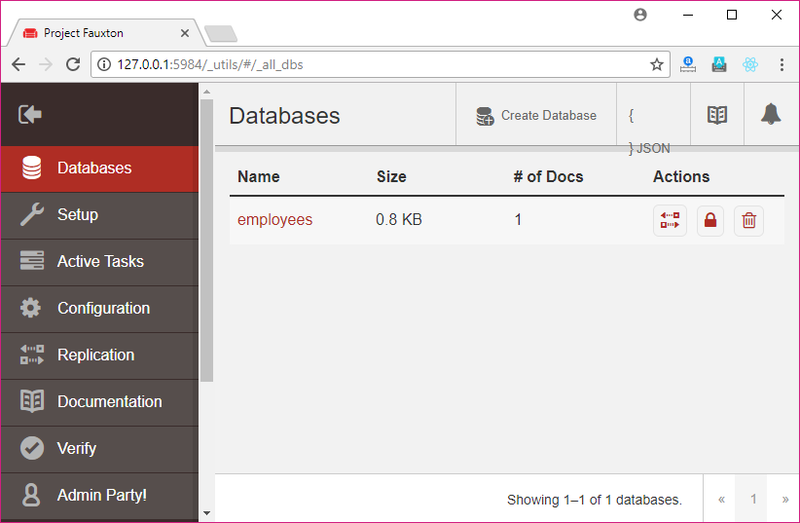 The db.remove() method is used to delete a document from PouchDB database. You have to pass id and _rev value to delete an existing document. This method accepts an optional callback function. You can also pass the complete document instead of id and _rev. First retrieve the value of a document which you want to delete by using Read Document method. This document is stored in a database named "Second_Database" in PouchDB. Now, use remove() method with _rev value and id of the document. You can see that document is deleted. 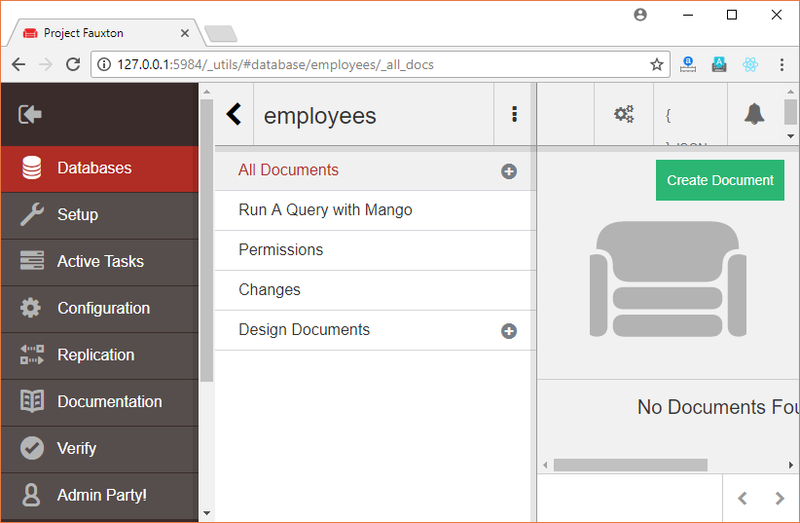 You can delete an existing document in a database which is stored remotely on CouchDB Server. For this, you have to pass the path of the database which contains the document that you want to delete. 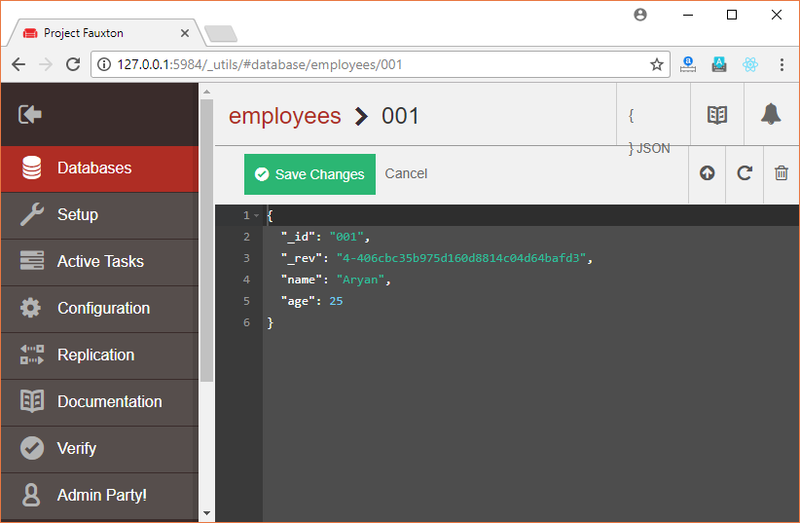 The employee database has a document having id "001". Let's delete the above document. Check CouchDB server. 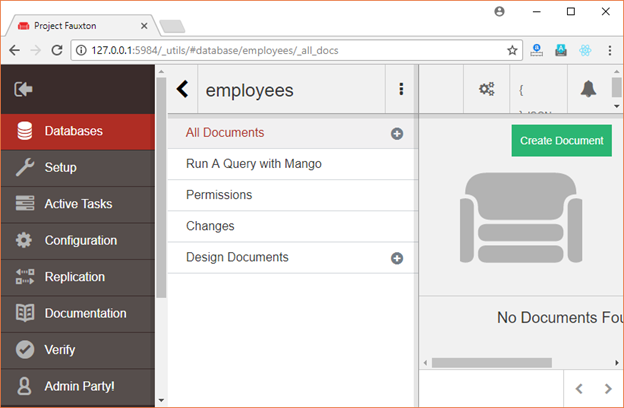 There is no document in "employee" database.